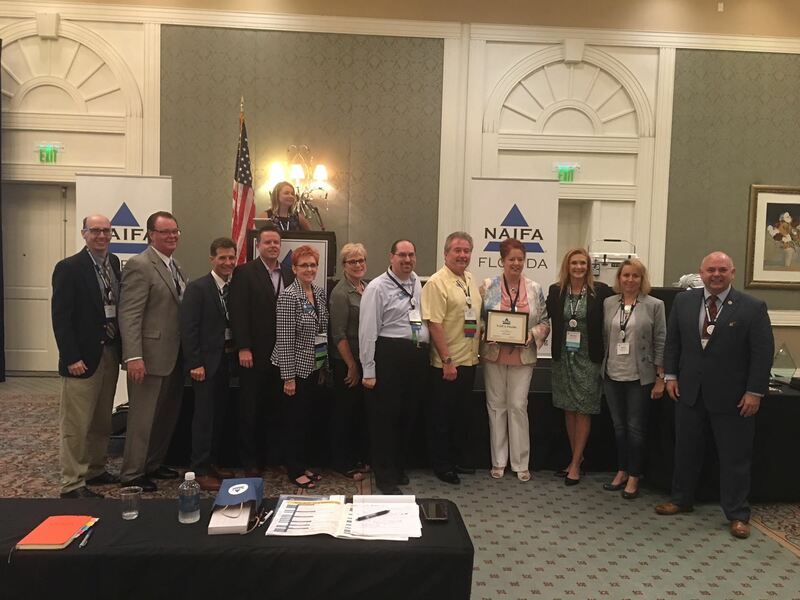 Congratulations NAIFA -Tampa for receiving the award at the Florida state conference as the local with the most new members. Great growth and great events this past year. Come join us at our next event! Van Mueller, LUTCF, is a Registered Representative with The Wisconsin Agency of New England Financial Services. January 23, 2014, marks Van’s 41st year as an insurance agent. He is an active member of MDRT having qualified for Court of the Table in 1990 and Top of the Table for the last twenty-six years. He served as President of the Milwaukee Association of Insurance & Financial Advisors for the 1998-99 year, and has been Membership Chairman for both Milwaukee and the State of Wisconsin. Van also served on the Annuity Advisory Panel, the Middle Income Task Force, the Sales Idea Committee, and the Program Development Committee for MDRT. Van has served two 2-year terms on the Top of the Table board. Van was awarded the Milwaukee NAIFA Distinguished Service Award for 2003. And in 2010 Van was the proud recipient of the A. Jack Nussbaum Distinguished Service Award for NAIFA, and has qualified many times for the National Association of Health Underwriters Leading Producers Round Table. Van was selected by Senior Market Advisor Magazine as the 2010 Advisor of the Year. Van has spoken to groups around the world, including being a main-platform speaker at MDRT in 1998 in Chicago and the Main Platform Speaker at the 2001 Top of the Table Meeting in Maui, HI. Van was a Main Platform Speaker at the 2003 and 2005 and 2009 NAIFA Conventions. 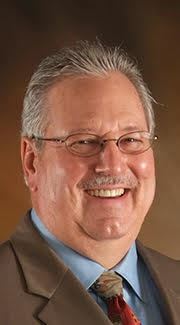 He was a speaker at MDRT and at the NAIFA Convention for 2006, and again in 2007, 2010 and 2011. He was a main platform speaker for the MDRT Experience in Tokyo, Japan in April of 2008. He has also written many articles for various publications, including the “Close” for Senior Market Advisor Magazine. 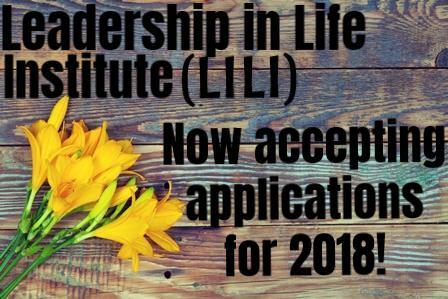 Register for our May Meeting here! Join NAIFA-Tampa and the Epilepsy Services Foundation Celebrating the 30th Annual Golf for Kids Classic! Click here for print registration form with complete details including sponsorship opportunities, or register online here. Thomas “Tom” Cannizzaro CFP, CLU, ChCF is a familiar face to the NAIFA community and especially to the Tampa Local. Tom is an expert on charitable giving, and has consulted with hundreds of advisors and non-profits across the country on strategies for maximizing the impact of giving using life insurance. He will take us through the process required to successfully fulfill the charitable ambitions of clients, considering new tax law changes and their effect on retirement and legacy planning. 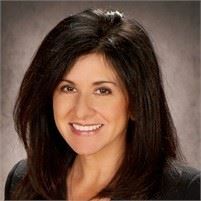 Please join us for this very special presentation of “Breakfast with NAIFA Tampa,” and hear Romy’s story first hand. Invite clients and the board members of the charitable organizations you serve to learn best practices for maximizing philanthropic giving. A portion of our proceeds will be donated to Stay in Step, so let’s show an American hero NAIFA Tampa’s support. Chief Warrant Officer Romulo “Romy” Camargo has been in the United States Army since April of 1995. Most of that time has been spent in the Special Operations community with the 75th Ranger Regiment and 7th Special Forces Group. On September 16, 2008 (during his third deployment to Afghanistan) Romy’s mission had been cancelled. He opted to do a humanitarian mission which involved medical professionals traveling to take care of villagers. This was considered a low risk mission, but as soldiers know, there is no such thing as low risk in a war zone. Romy’s detachment was ambushed, and he was shot through the neck and paralyzed from the shoulders down. Romy’s trials since that fateful day are too numerous to recount in this limited space. 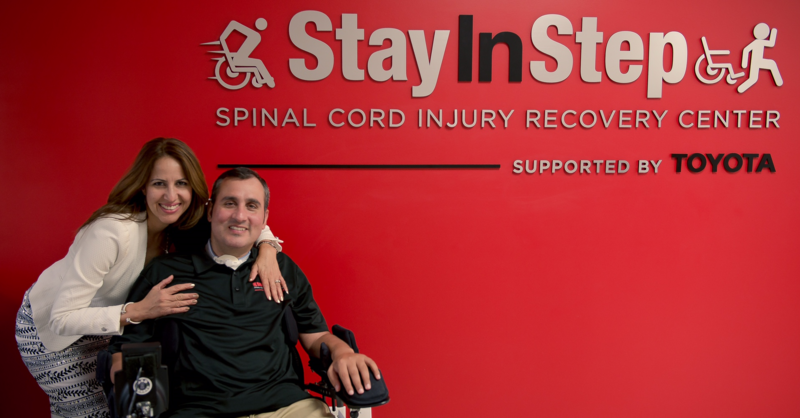 After returning to the States, Romy and his wife Gaby, decided to turn adversity into opportunity and on June 20th, 2015 they opened Stay in Step Spinal Cord Injury Recovery Center in Tampa, FL. They provide service to veterans and civilians from around the country, who come not only for the physical rehab, but also for the taste of the mental toughness it takes to thrive on this special journey. Thomas V. Cannizzaro has over 35 years of experience in the financial services industry, specializing in Life Insurance Based Financial Planning. Tom is a Certified Financial Planner™ (CFP®) and holds the Chartered Life Underwriter (CLU) and Chartered Financial Consultant (ChFC) designations. He has created customized planning concepts, such as “Simple Solutions to Complex Financial Problems” and “Make Giving Go Further with The Policy That Gives”™, “Living Better, Leaving More”™ Planned Giving Using Life Insurance, “The Gift of Love, The Gift of Philanthropy, The Gift of Love and Philanthropy”, Life Insurance – The Gift of Philanthropy, Adding Life to Your Business, Strategies in Wealth Transfer and Legacy Planning, Aging With Dignity – Protect and Preserve Your Assets and Your Legacy, Is Your Planning Up To PAR and many more . He is a frequent speaker and instructor at industry events, and has been quoted in numerous publications, including Life Insurance Selling, Journal of Financial Planning, and USA Today. Originally from New York, Tom has resided in Florida for 19 years. He is a member of the Southwest Florida Estate Planning Council, a member of the Financial Planning Association (FPA), member of Society of Financial Service Professionals (SFSP), member of National Association of Insurance and Financial Advisors (NAIFA), member of South West Florida Planned Giving Council, a member of the Sarasota Memorial Hospital Foundation’s Advisor Network, a Founding Member of The University of Florida Advisor Network and an Instructor at Osher Life Long Learning Institute (OLLI) with Eckerd College. Tom has reviewed thousands of cases for individuals, businesses, and many non-profit organizations, and looks forward to working with you as a partner in providing customized Life Insurance Based Financial Planning solutions. You don’t have to look very far in the greater Tampa Bay area to meet up with a wealth of successful women in financial services. But in an industry that desperately seeks new talent, offers unlimited income potential, and provides what might be “the best” career for work-family balance, women account for just 16% of all financial advisors. Why? What does this mean to advisors looking to serve the needs of the women’s market while building a sustainable practice? - Women currently hold 51% of the nation’s wealth. - Women represent 30% of all small business owners. - Women are the primary earners in 40% of all households. - Women are the primary caregivers in 66% of home-care cases. - Women report that only 54% can plan to retire after the age of 65 if at all. 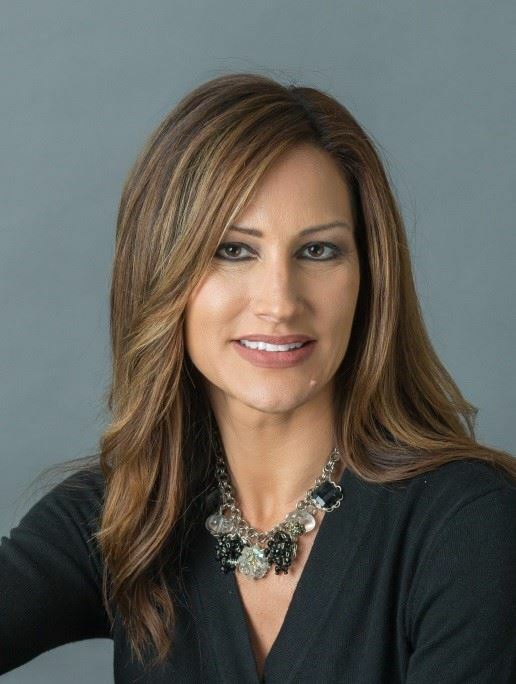 Join us as at the NAIFA Tampa Women Advisors Forum and hear first-hand how our highly accomplished panel are transcending unique challenges and building their practices. Learn how communications strategies, branding, value proposition, networking, mentoring, and practice management lead to success in the women’s market and beyond. This is a rare opportunity to hear directly from some of the most well-respected women in Tampa Bay financial services.